Don't Wait Until It's Too Late - Confident K-9 Education (12) Hour Puppy Training Program - Available thru Jan 15, 2018. Life Time Written Guarantee on All Training! Your Dog’s Behavioral Success Depends on You! Most dog owners have affectionately given dogs the nickname (fur babies) however, this is easy to remember when a puppy is little. What happens when the puppy grows to be 65 pounds or more and is only 6 months old? This is not exactly a lap dog anymore. Dogs are considered puppies until 18 months old. At 18 months a dog is considered to be an adult. All puppies no matter bread or size need to have a routine, have boundaries and limitations to follow as part of growing up. Don't Wait Until It's Too Late! Most times new dog owners will get a puppy and try to train it themselves or the new dog owner will think the puppy will "Just Get It" on its own... All puppies begin learning (Good and Bad Habits) as soon as they come home. It is always better to start teaching your puppy in good habits instead of trying to correct bad habits! Life Time Written Guarantee on All Training - A Dog’s Behavioral Success Always Depends on The Owner! 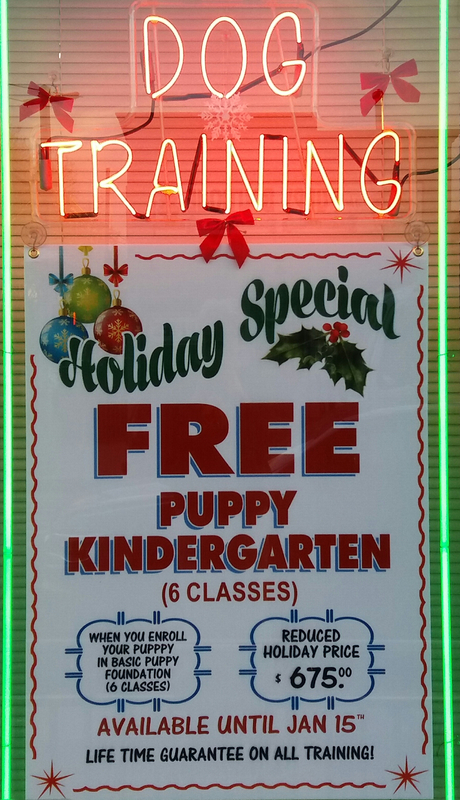 At Confident K9 Education all puppies will be socialized in “Puppy Kindergarten (PKG)” combined with Basic Puppy Foundation Training. There are several things that should be covered in any good puppy training class and socialization is the most important part of any puppy training class. Socialization refers to exposing puppies to as many new people, places, other dogs and situations as much as possible. It allows puppies to romp around and play in a safe and controlled environment with other pups. In private training all pups will learn good manners and obedience. Teaching puppies at a younger age (approximately 10 weeks old) is always better. Confident K9 Education believes that having a well socialized and obedient dog should be a happy balance. If a dog is obedient on its commands, but does not like other dogs or people then something is wrong and there is conflict in the dog’s mind. Dog Aggression, Dominance, Puppy Teething, Chewing, Biting, Barking, Separation Anxiety, Jumping (on furniture or people), lack of obedience and going to the bathroom all over the house (Housebreaking) can cause a lot of problems and will cause different levels of stress. The dog owner will think, "Why Did I Ever Get This Dog?” The dog will also feel this stress and will not know what to do with it. The answer is, dog training which is also training the new owner on how to communicate best with their dog. The results will make you both very happy and pleased. Puppies have a very small window of opportunity to socialize the correct way. The best time to socialize a pup is between 9 – 14 weeks of age. This would include with other dogs, cats, children and different people in general and also outside stimuli’s on the owners property. Puppy Kindergarten is the perfect way to introduce a new puppy to a great social experience from the beginning and it also provides dog owners a way of trading their puppy stories with each other. For more information on this please feel free to contact me. Let me help you find your solution today. You will be glad you did!